This year, HOLA revitalized its HOLAfábrica program of workshops and seminars. 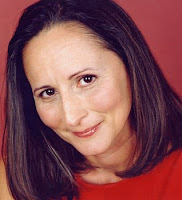 In addition to the popular Spanish Language Voiceover Workshop (taught by Manuel Herrera), HOLA offered two different Strasberg Acting Technique workshops (beginning and intensive levels; taught by Mauricio Bustamante), a Computers and the Actor seminar for computer literacy (taught by Francisco Fuertes), an On-Camera Acting Seminar (taught by casting directors Elsie C. Stark and Elizabeth Gans of Stark Naked Productions/Elsie Stark Casting), a Business of the Business seminar (taught by Wendy Curiel) an audition technique workshop called The Mental Game of Auditioning (taught by Herman Chaves) and, finally, a Singer’s Workshop (taught by Sabrina Lastman) to close out our calendar year. At the conclusion of each workshop or seminar, participants were given a survey to fill out questionnaires for their feedback and comments. Below is a sampling of quotes from HOLA members. “Everyone should take advantage of what Herman [Chaves] has to offer”. “I wanted to express my gratitude to Manuel and HOLA for putting together such a comprehensive and effective Spanish [Language] Voiceover Workshop. Thanks to Manuel instruction, guidance and expertise, I have gained renewed confidence when stepping up to the mic for a Spanish voiceover audition [Also, I wanted to] thank the HOLA staff and Mauricio Bustamante for putting together such a wonderful workshop at such an affordable price. I have been in many different acting classes, and I would definitely put this at the top of my list. I was truly fascinated by all the techniques I learned and was enchanted by Mr. Bustamante’s charismatic and unique style of teaching. I would highly recommend this class to any HOLA member or any person pursuing an acting career. In addition to the above workshops, HOLA teamed up with TeatroStageFest/Latino International Theater Festival of New York, Inc. to present Produce!, a one-day free workshop for non-conformists determined to take their vision "from the page... to the stage!" The workshop took place at Martin E. Segal Theatre Center at the CUNY Graduate Center in midtown Manhattan. More information about this workshop will be highlighted in a future blog. For more information on HOLAfábrica workshops and seminars, call the HOLA office at (212) 253-1015 or check out the HOLA website at www.hellohola.org. Have you ever felt that the mainstream media still does not represent the complexity and depth of the Latino culture and people? How often have you heard that the stories of Latinos are not produced because they lack crossover appeal? Have you wondered why Latinos are consistently under represented in the media? Supporting Friends of HOLA is a way of making a difference. As HOLA continues to evolve, we are exicted to present our newest program -- Friends of HOLA. This historic venture will unite HOLA supporters who are eager to change the face of mainstream media. Actors, playwrights, screenwriters, directors, producers, media professionals, patrons of the arts, and anyone else concerned with the under representation and stereotyped portrayals that continue in the media an come together under the HOLA name and make their voices heard. Friends of HOLA will become a powerful force for media change, not just in New York, but nationally. Current Friends of HOLA (as of this writing) include, in alphabetical order, director and producer Arian Blanco; director and producer Thomas Ferriter; attorney and patron of the arts April D. Harris; Pulitzer Prize winning novelist Oscar Hijuelos; TonyAward winning actor, writer and composer Lin-Manuel Miranda; photographer and patron of the arts Michael Palma; actor, announcer and director Francisco G. Rivela, casting director Doris Silk; accountant and patron of the arts Joseph G. Gonzal; casting director Elsie C. Stark; and the organizations Access Talent, CBS, Recorded Books, R.Evolución Latina and Teatro SEA. Friends of HOLA is a tiered program, with several different levels of support and varying benefits. You can become an Audience Member ($0.01-$99), a Scenestealer ($100-$149), a Star ($150-$249), a Legend ($250-$499) or an Icon ($500+). You can also donate more than $500 if you so choose. As HOLA is a 501(c)3 not-for-profit organization, all Friends of HOLA donations are tax-deductible to the fullest extent of the law. For more information on Friends of HOLA, call the HOLA office at (212) 253-1015 or e-mail us at holagram@hellohola.org. Imagine a conversation between Tony Award winner Lin-Manuel Miranda and Pulitzer Prize winner Junot Díaz. The Northern Manhattan Artists Alliance (NoMAA) drew hundreds of people to this minimally publicized event. Lin-Manuel’s dad Luis Miranda moderated the discussion, making it clear where Lin-Manuel gets his sense of humor. Both are at the top of their fields: Junot won the Pulitzer prize for his novel The Brief Wonderful Life of Oscar Wao, and Lin-Manuel won the Tony for writing the score to the Broadway musical In The Heights (he also stars in the show). To them, winning these accolades and awards are a mystery. But the conversation shed some light on this mystery. Growing up possibly poorer than if they had remained in the Dominican Republic, Junot and his family were marginalized by the majority of Americans for being too poor (his single mom raised 5 kids on approximately $6,000 a year in the 1980s in New Jersey). His family was also marginalized by the Dominican community for being too poor, too dark, or too light, depending on who was doing the excluding at the moment. Noticing the differences in treatment, he often found himself on the outside looking in, contributed to Junot’s ability to write so passionately. Lin-Manuel went from “playing with sticks in the wilds of upper Manhattan, to playing in the duplexes of his Upper East Side friends” when he went to Hunter College at the tender age of 15. His trips to Puerto Rico also made him aware of the different worlds that contributed to his heritage, the different worlds of home (where he spoke Spanish) and school (where he spoke English). Keenly aware of his changing status, he noticed his neighborhood friends drifted to acquaintances, and then to “just people you see at the store” as he pursued his studies. Although Junot’s parents gave him the advice to repress his “Dominican-ness” to get ahead in life, he feels that by being specific he has been able to make art– “because art is not about sameness.” Who would have guessed that a book about an overweight Dominican nerd would win a Pulitzer? Well it did, so the monolithic media is beginning to crack. Lin-Manuel is narrating Junot’s book The Brief Wonderful Life of Oscar Wao for its audiobook version. “When I read the book, I feel taken care of. The narrator wants us to know what’s going on, not ‘this is my truth and I don’t care if you understand,’” is Lin-Manuel’s take on why the cultural specificity of the book has translated well into the general market. So how did Lin-Manuel resist the temptation to homogenize his work? When he first started the work he was 19 years old, and he locked himself in his college dorm room for three weeks and wrote, only coming out to eat. In one sustained burst, in what he called “as close to demonic possession as I have come,” Lin-Manuel created the first draft of In The Heights. He had lived on West 212th Street in the uppermost part of Manhattan, and already the changes he noticed when he came home to visit from college were palpable– the candy store with the illegal slot machine was now a pilates center. Lin-Manuel credits his producers’ intelligence by recognizing an experience that has not been seen on Broadway, and preserving the integrity of the show. “I couldn’t play Bernardo [in West Side Story] for the rest of my life,” and this added fuel to his creative fire. “Because of our affections for our community you end up making not only art, but a piece of history,” Junot adds. Both Junot and Lin-Manuel are so quotable. Below are some quotes by them which I found to be quite inspirational. Junot Díaz: No award will ever drown out my father’s cruel voice in my head. The applause means very little because I just want to do some very weird things. Lin-Manuel Miranda: Voice in your head? My father is moderating this thing. But seriously, the pressure you put on yourself is the only pressure that creates anything. The community benefits by having more artists. JD: Art is not the messiah. But society must confront its failings. Our work can report those failings. If people could see my grades you would be horrified. I was “push-graduated” [forced out] from high school. L-MM: In The Heights came from family, upbringing, my neighborhood. JD: The thing that drove me more than anything was being totally undervalued. “I’m not stupid! I’m smarter than my teachers.” If you can stop being afraid for long enough to discover who you are, you will achieve so much. JD: I literally waited eight years for my mom to say something about her past. I had to earn that trust. It’s complicated. There will always be people who are mad at you. But is there love in your heart? Is that where you write from[, Lin-Manuel]? L-MM: Like Woody Allen said, “If I believe all the good reviews, I have to believe the bad ones.” The Tony Awards just tell people who are terrified of Latinos and hip hop that this show is okay to go see. JD: Washington Heights was not prepared for me. [New York,] the capital city of Dominicans outside the Dominican Republic doesn’t deal well with Dominicans raised in other parts of the United States. I am the Dominican “Zelig” though. Everyone will talk to me. L-MM: For inspiration I like to walk around. I get started, and I record some lyrics and then I play them on the headphones. I get really “Rain Man” walking around repeating them. At the end of the day I go back to the piano. JD: I lock myself in the bathroom to write. I come from a poor, big family, and that’s where I do my most concentrated work– in the bathroom. L-MM: It’s horrible when these reporters follow me around and tell everyone about me. I just want to observe normally. JD: My utter “nondescriptness” and deep, deep curiosity get me by. I am always talking to people on the street. JD: Self-publishing is okay; nothing wrong with it. But publishing is like getting someone to pay for your meal. It’s a good thing. After one year of rejection, keep going. After five years of rejection I started to wonder what was wrong with me, but I kept going. As for the future, Junot just sold the film rights to The Brief Wondrous Life of Oscar Wao. Junot will be pleased if he brings to life three or four good novels in his lifetime. Lin-Manuel refers to what he has so far accomplished as “the first line in my obituary.” He will record an album using rap and hip hop as ways of telling his stories. At the conclusion of the conversation, both signed books, posters, CD covers, playbills, etc., graciously thanking the community that inspires them, and that they continue to inspire. For more information on Junot Díaz and Lin-Manuel Miranda, go to www.junotdiaz.com and www.intheheightsthemusical.com, respectively. To find out more about the Northern Manhattan Arts Alliance at www.nomaanyc.org. The Ninth Annual HOLA Awards was an evening of friends, good food, networking and proud Latino artists. Every year on that night we come together at The Players (a theatrical club overlooking Manhattan’s Gramercy Park) to celebrate our achievements as performers on stage, in front of the camera or on radio. It always seems that right after the HOLA Awards we have a rush of new members at our office, hungry to become a part of HOLA. The event makes such a significant impact on guests and supporters of the Hispanic Organization of Latin Actors; and hence inspires to lengthen HOLA's mission. We started out the evening with our traditional tapas reception, a perfect opportunity for casting director Elsie C. Stark (of Stark Naked Productions/Elsie Stark Casting) to catch up with talent agent Wendy Curiel, for new members to introduce themselves to veterans like actor-producer-director Miriam Colón, for master of ceremonies Jorge Ramos to fill up on an empanada and the press photographers get a glass of wine. As people filled in, the energy in the room grew high. Wendy Curiel mentioned that she enjoyed the whole evening but especially the networking portion. She said she got to meet people she'd never met, like actors she sees everyday on the HOLA Pages online directory. She goes to our website on a regular basis for castings. Wendy thought it was a great affair with a great turn out and she had a good time. Then, the awards ceremony began. The opening number was from the HOLA award winning production La muela del rey Farfán (I was in that production too!) with fellow castmates Annette Cortés singing, Daisy Payero manipulating one of the many puppets in that show and Kat Sherrell on piano. As I sat in the audience, watching actors receive their plaques with much appreciation, I was moved by their acceptance speeches and the video presentation of HOLA Lifetime Achievement awardee Ricardo Barber. It's great to know that HOLA is present in the hearts of Latino actors. When I asked Jorge Ramos his thoughts, he told me, “It was maravilloso! ¡Me encanta como lo organizan!” He loved that the event had it all, including “la elegancia, entretenimiento, la comida, los artistas.” He said that HOLA has a spokesperson in him. He believes that the work that HOLA does is very important. His favorite part of the awards, besides John Leguizamo's speech, was the video presentation for Ricardo Barber, saying that his career served as an inspiration to those which stays true to their craft and profession. Some of the most memorable highlights would be Ricardo Barber's video presentation compiled by HOLA and featuring Ricardo's friends and colleagues who have worked with him in the past. His speech was so touching. Then there was the comment from Cándido Tirado. A winner of the playwriting award along with his wife, fellow playwright Carmen Rivera, he admitted that the awards ceremony fell on the same day as his first colonoscopy and the two events would always be united, much to the chagrin of his wife. Carmen Rivera then thanked HOLA for recognizing the work of the writer. Other highlights included mistress of ceremonies Odalys Molina receiving a surprise award from Jorge Ramos (she was teary-eyed, but recovered quickly and gracefully); the very vivacious and beautiful Xiomara Laugart, with her Special Recognition Award, who thanked co-stars/awardees Selenis Leyva and Pedro Capó for helping her along as she is “a singer, not an actress;” Eduardo Machado and his appreciation to getting the Raúl Juliá HOLA Founders Award; and the many recurring jokes over the title of one of the awarded solo shows: No seré feliz, pero tengo marido (translated roughly as I Won’t Be Happy, But At Least I Have A Husband). Everyone did a good job of keeping the show moving along. Ultimately, I'd say my favorite part of the evening would have to be John Leguizamo coming up to the stage. He said he felt comfortable being in a sea of familiar faces. The majority of the actresses that received the Outstanding Performance by a Featured Female Actor thanked their mothers and in particular Jezabel Montero acknowledged her mother saying "who infected me with this disgusting virus called the theater bug, Zully Montero," as well as Pablo Tufiño, who expressed his appreciation to Repertorio Español, HOLA and dedicated his award for Outstanding Performance by a Featured Male Actor to his father, the recently deceased painter Rafael Tufiño, "who taught me to have integrity as an artist." Awardee Fred Valle also shared and his appreciation to HOLA and proves that the HOLA Pages work! In Spanish he remarked that he has gotten more jobs than any other sources, saying, "He conseguido más trabajo a través de las Páginas de HOLA que los demás" and that he is very proud to be an HOLA member. Also noteworthy was Blanca Camacho's speech where she told those in attendance to “keep at it [and] keep working.” It was a tearjerker. A moment before she presents an award to Luis Salgado, she mentioned supporting "the little show that could" [a reference to the 2007 Tony and HOLA Award winning musical In the Heights] and actually becoming a cast member the following year. She said, "Don't give up on your dreams and maybe they won't give up on you!" After that, Luis (along with José López and Alberto Morgan) received their awards for Outstanding Achievement in Technical Production. Luis was very happy and honored to receive an HOLA award and to "be accepted by my own community represented to know that I can keep on dreaming and I can keep on walking and have the support of my people." HOLA Excellence in English Language Media Award recipient Mario Bósquez mentioned his involvement with Martha Stewart and added that "nuestro trabajo, our involvement in communications and performing arts, it's really only a reflection of the pioneering ground work and the continuing efforts of organizations such as HOLA, so we are gathered here tonight to say gracias to you," adding with "we ain’t nothing if we don't represent." Upon receiving the HOLA Excellence in Spanish Language Media Award, Odalys Molina said, "Cuando yo digo que hay que apoyar el teatro, es porque hay que hacerlo porque nosotros no estamos pensando en ahora sino en el futuro de nuestros hijos." She proudly announced that she'll take it home and put it on her wall. Later, Adam Moore, an HOLA Executive Boardmember and the Associate National Director, Affirmative Action/Diversity for the Screen Actors Guild came up to acknowledged those artists who passed away the previous year. Sweet and talented Tere Martínez received an award for Outstanding Achievement in Playwriting thanked HOLA for recognizing her play Borinquen vive en El Barrio. The first public reading was sponsored by HOLA. "Así que esto vale mucho. Keep nurturing the new playwrights, HOLA!" I'd like to take this time to give thanks to Noemí de la Puente for coordinating the video presentation and volunteers and her phenomenal job of having my back because on that very day, I had an audition. In addition, I'd like to thank the volunteers who so selflessly helped until the end of the evening. Christina Luna, Tatiana Dellepiane, Bernardo Cubria, Jean-Marc Berne, Ernesto López, Mónica Delgado, Amber Rivera, Basílica Bliachas, RKZ… thank you for helping HOLA throughout the year and on the day of the Awards. In particular, I want to thank Phoenix Ximénez, for designing our recent Friends of HOLA brochure, the Gala invitations as well as the Gala Program; José A. Esquea for his professionalism in stage-managing the event and Jesús E. Martinez for being HOLA's technical support. Special thanks also go to Ronny Navarro, Manuel A. Morán and Richard Marino from Teatro SEA and Luis Vázquez of Casa de Vinos (who so generously provided wine at no cost to HOLA). Thanks also to fashion designer José Luis Victoria for letting me borrow a beautiful black and white dress that won an award in Ecuador. I am satisfied when actors can come into the office and further their acting careers with HOLA's services and programs. Thank you all for supporting HOLA. The Hispanic Organization of Latin Actors (HOLA) is proud to debut its first-ever blog. Postings on this blog will include information about HOLA members in performance as well as their experiences in the field, bochinche items and articles about the entertainment industry as it affects Latino/Hispanic actors.